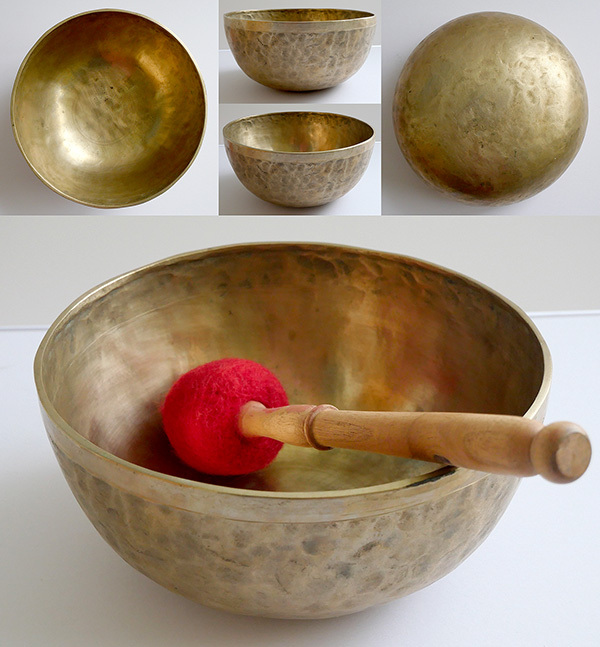 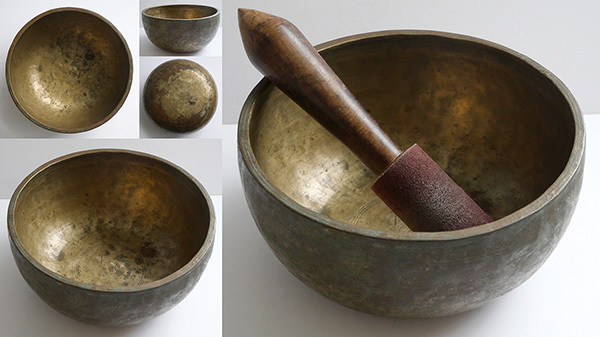 Concert Pitch antique singing bowls are much in demand by sound therapists, musicians, and collectors, but unfortunately Himalayan bowls rarely conform to the Western chromatic scale, and perfect pitch examples are extremely uncommon across all bowl types. 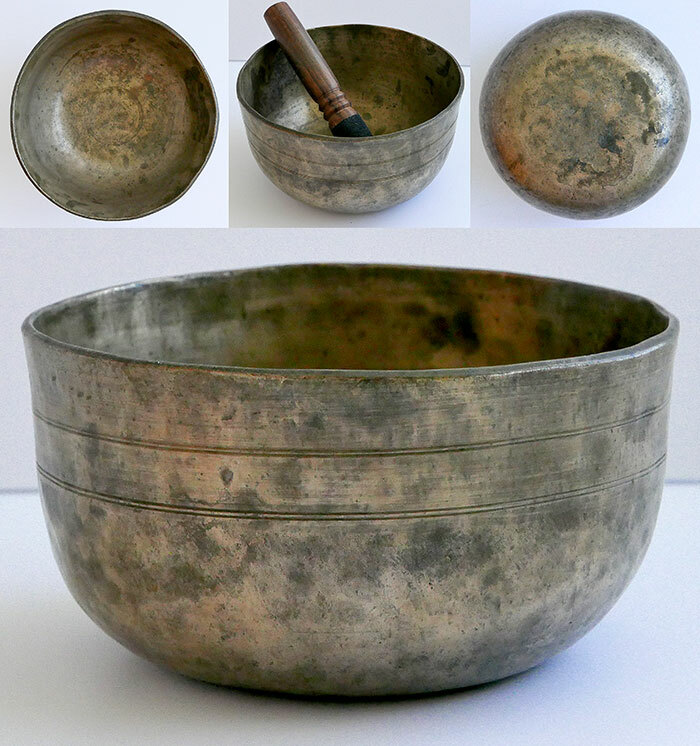 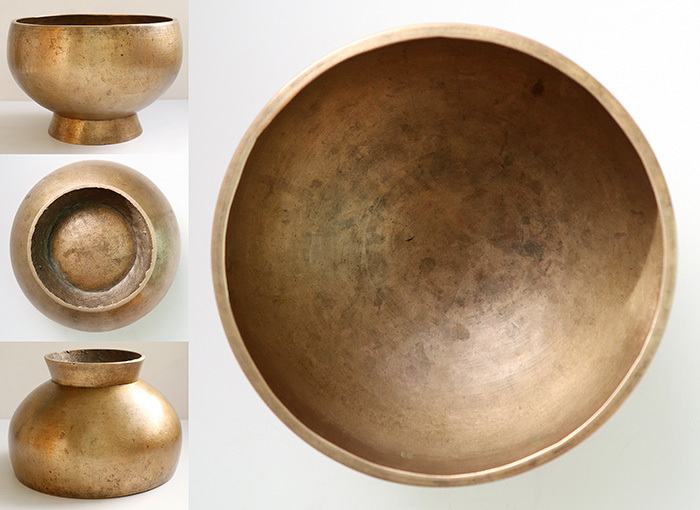 Antique bowls that are still in reasonable supply such as the Manipuri, Thadobati, and to a lesser extent Jambati, are more likely to yield the occasional perfect pitch specimen…while rare forms like the Mani and Lingam are much less likely to. 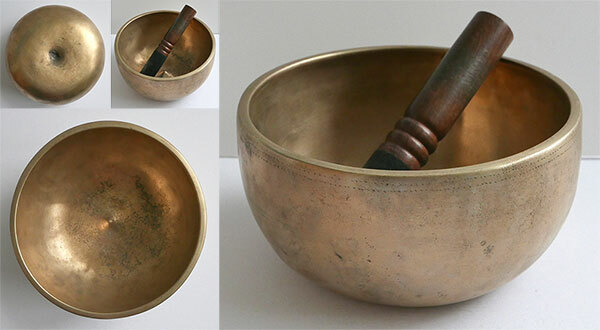 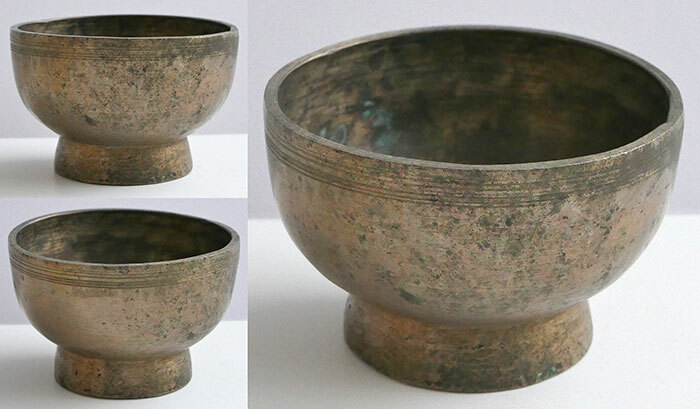 The fact that a bowl has perfect pitch alone does not necessarily make it worth collecting, as other important criteria must also be met such as its quality and physical condition. 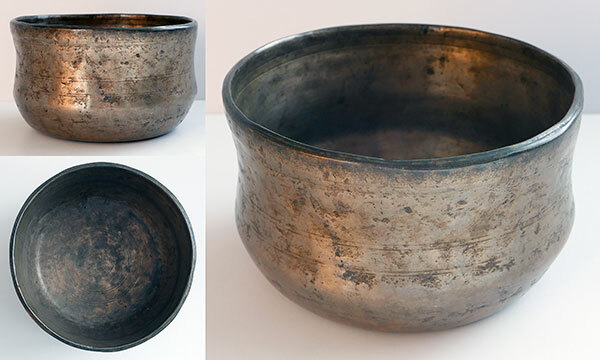 Some of the concert pitch bowls here are from our own private collection, while others have been recently sourced in the Himalayas on our behalf. 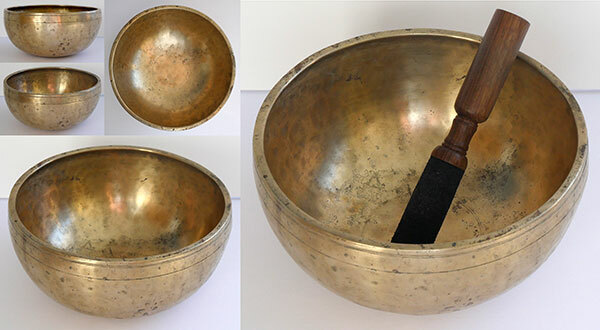 I have done my best to accurately meter and identify notes, but antique singing bowls are complex multi-harmonic instruments and their sonic properties are sometimes difficult to determine and record. 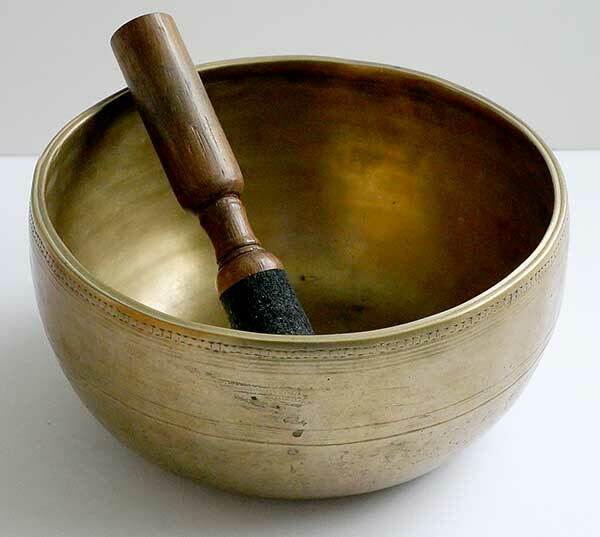 All our bowls have been metered with a Korg Orchestral Tuner (OT-120) and the excellent ‘iStroboSoft’ application which I also use to identify a note’s frequency. 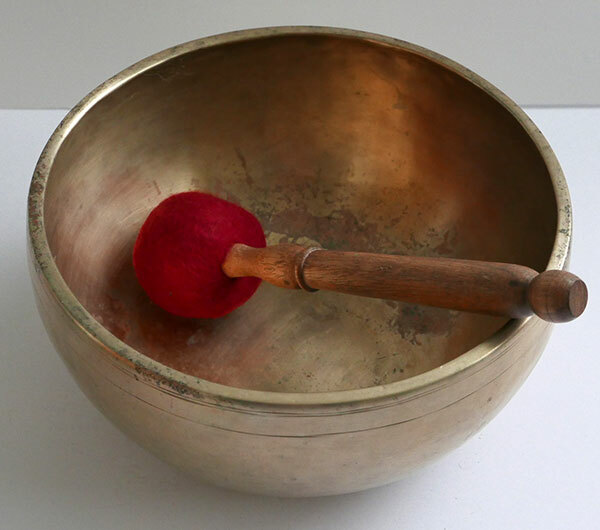 The resulting number is then located on a chart that lists the exact pitch for every note in each octave, so that I can assign the name of the note with some degree of confidence. 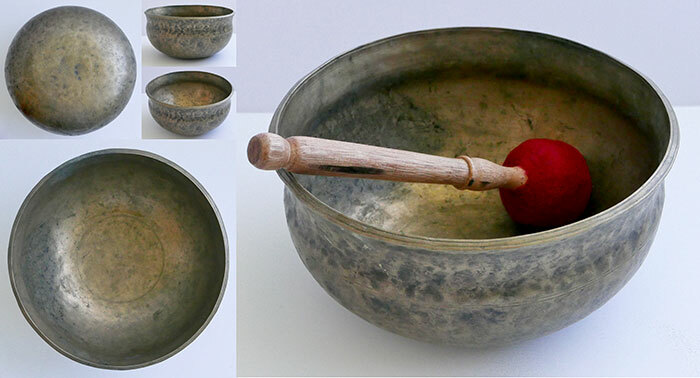 Perfect Pitch means that the note has been metered at the exact frequency associated with its precise position on the chromatic scale. Antique singing bowls with perfect pitch are extremely rare…so if the bowl you are seeking is listed here SNAP IT UP! 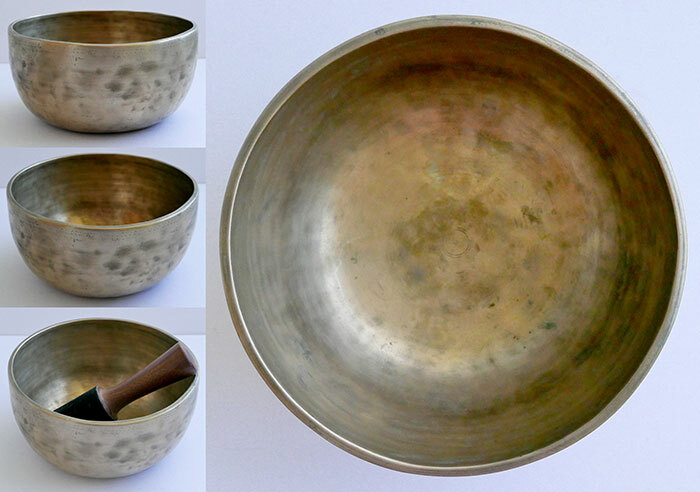 Small 8” Jambati Singing Bowl – 2 Concert Pitch Voices! 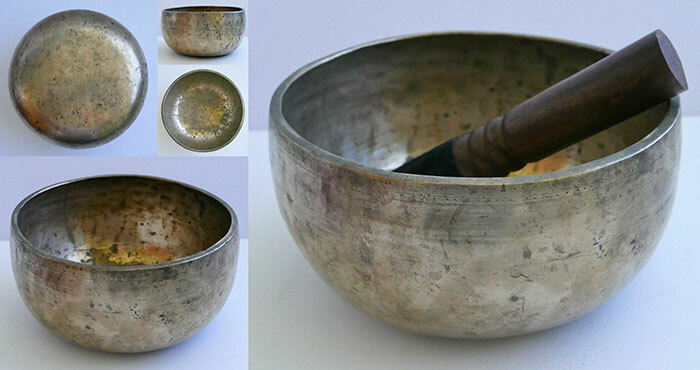 Small Antique Naga Singing and Healing Bowl – 2 perfect Pitch Voices!